We do a bit of everything. We create WordPress products and other digital products. We do freelance work too, you can hire us by clicking “Hire Us” in our website menu. All of this means we build web software that people (our “Clients”) can use to power their websites or their client’s websites (our “Service”). People who run their websites on WordPress, or web development agencies that build websites for their clients on WordPress, can purchase our Themes & Plugins to assist them in the creation of those websites. Our Themes are pre-made templates that change how the website looks, while the plugins add functionality. Clients in turn make their websites available to their customers (“End Users”). SuperbThemes (“SUPERBTHEMES”, “SuperbThemes”, “Superbthemes”, “Superb themes”, “Superb Themes, “we” or “us”) offers various services to you, our Client and your End Users, through our website (https://superbthemes.com), all of which are conditioned on your agreement to adhere to the following Terms of Service without modification of any kind. Your use of the Service and/or your registration with us constitutes your agreement to these Terms of Service. These Terms of Service are subject to change at any time, without prior notice. Any changes that are made to these Terms of Service will not apply retroactively and will not apply to disputes or events occurring before the change is published. You are responsible for reviewing these Terms of Service on a regular basis. These Terms of Service apply to all visitors and all who access our website or Service. You affirm that you are either more than 18 years of age, or an emancipated minor, or possess legal parental or guardian consent, and are fully able and competent to enter into the terms, conditions, obligations, affirmations, representations, and warranties set forth in these Terms of Service, and to abide by and comply with these Terms of Service. In any case, you represent that you are over the age of 13, as this Service is not intended for children under 13. If you are under 13 years of age, then please do not use SuperbThemes or any of our Services. In our discretion, we may maintain different accounts for different types of Users. If you open an account on behalf of a company, organization, or other entity, then (a) “you” includes you and that entity, and (b) you represent and warrant that you are an authorized representative of the entity with the authority to bind the entity to these Terms of Service, and that you agree to these Terms on the entity’s behalf. By connecting to SuperbThemes with a third-party service (e.g., Facebook or Twitter), you give us permission to access and use your information from that service as permitted by that third-party service, and to store your log-in credentials for that third-party service. The Service is not available to any User who has been removed from the Service by SuperbThemes. 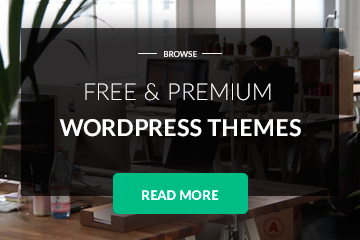 SuperbThemes is your destination for themes, plugins, freelance work and other digital products for your website. Our themes and plugins are sold as a digital download through our website. You may also receive support through our website via email. By using our Service, you’ll be able to design your website at the fraction of the cost of hiring a web designer. SuperbThemes provides support services for its products to Clients with active memberships. Support is provided via the email, or a public support ticketing system. Upon subscription expiration or account closure, a Client’s access to support is terminated. SuperbThemes provides support for its own products only. We do not provide support for third party products or services, nor do we provide support for our own products when obtained through third parties. Our WordPress themes and plugins are released under the GNU Public License version 2.0 or later. You may visit our Site without registering. However, in order to buy any of our themes or products you will be required to register for an account. When creating an account we will collect your name, address, country of origin and email. If you decide to purchase any of our products, you will also be required to submit your PayPal or credit card information to our third party payment processors (Stripe or PayPal). We may also ask you for additional information if necessary. SuperbThemes respects the rights of third party creators and content owners and expects that you will do the same. Given the nature of the Service and the volume of information submitted, we cannot and does not monitor all of the Materials posted or transmitted by you and other third-party information providers via the Service, including, without limitation, any Materials posted via the website. You expressly agree that we: (a) will not be liable for Materials and (b) reserve the right to review, reject, delete, remove, modify, or edit any Materials at any time for any reason, without liability and without notice to you. We reserve the right, but are not obligated, to remove User Content from the Service for any reason, including User Content that we believe violates these Terms or our Acceptable Use Policy below. When viewing the theme demos at https://www.superbthemes.com/demo/, you will see several photographic images used. These photos serve as example images only and are not included in the membership. Our themes and plugins do not come packaged with any copyrighted photography. The photos used in the demos are purely for demonstration purposes, and are used to give the visitor a functional preview of what the theme will look like once content has been added. You are responsible for adding your own thumbnail images. The photos used in our demos are licensed from http://www.shutterstock.com/, http://pexels.com, http://pixabay.com, and are Copyright their licenses. These photos should not be saved, copied or redistributed in any way without talking with the photo owners first. It is the policy of SuperbThemes to respond to all claims of intellectual property infringement. We will promptly investigate notices of alleged infringement and will take appropriate actions required under the Digital Millennium Copyright Act, Title 17, United States Code, Section 512(c)(2) (“DMCA”) and other applicable intellectual property laws. The following is a partial list of the kinds of activities that are prohibited on or through the Service: (a) submitting Materials that are patently offensive to the online community, such as content that promotes racism, bigotry, hatred or physical harm of any kind against any group or individual; (b) engaging in activities or submitting Materials that could be harmful to minors; (c) engaging in activity or submitting Materials that harasses or advocates harassment of another person; (d) engaging in activity that involves the transmission of “junk mail” or unsolicited mass mailing or “spam” or harvesting or otherwise collecting personally identifiable information about Service users, including names, phone numbers, addresses, email addresses, (collectively, “User Data”) without their consent; (e) engaging in activity, or submitting Materials, or promoting information that is false, misleading or promotes illegal activities or conduct that is abusive, threatening, obscene, defamatory or libelous; (f) submitting Materials that contain restricted or password only access pages, or hidden pages or images; (g) submitting Materials that displays pornographic or sexually explicit material of any kind; (h) submitting Materials that provide instructional information about illegal activities such as making or buying illegal weapons, violating someone’s privacy, or providing or creating computer viruses; (i) submitting Materials that contain viruses, Trojan horses, worms, or any other similar forms of malware, (j) engaging in activities or submitting Materials that solicit passwords or personally identifiable information for unlawful purposes from other users; (k) engaging in unauthorized commercial activities and/or sales without our prior written consent such as advertising, solicitations, contests, sweepstakes, barter, and pyramid schemes; (l) using any robot, spider, other automatic device, or manual process to monitor, copy, or “scrape” web pages or the content contained in the SuperbThemes website or for any other unauthorized purpose without our prior written consent; (m) using any device, software, or routine to interfere or attempt to interfere with the proper working of the Service; (n) decompiling, reverse engineering, or disassembling the software or attempting to do so; or (o) taking any action that imposes an unreasonable or disproportionately large load on the Service or our hardware and software infrastructure or that of any of our Licensors or Suppliers. In addition, you covenant and represent that you will not use the Service in violation of the law or these Terms of Service. The Service may offer forums, blogs, comments areas, bulletin boards and chat rooms (collectively, “Forums”) that are intended to provide users 18 years of age and older an interesting and stimulating forum in which they can express their opinions and share their ideas. SuperbThemes does not endorse the accuracy or reliability of any advice, opinion, statement or information posted on these Forums. Please use your best judgment, and be respectful of other individuals using these Forums. Do not use vulgar, abusive or hateful language. Uploading copyrighted or other proprietary material of any kind on the Service without the express permission of the owner of that material is prohibited and may result in civil and/or criminal liability. Any information you disclose when posting a message in these Forums may become public. You should not include any information in your posting that you do not want other parties to see or use and you hereby agree that you will not hold SuperbThemes responsible for any third party’s use of information contained in such posting. To maintain a positive, creative environment in which Users may share and display Materials, we ask that you only use the Service in a manner that is consistent with our Acceptable Use Policy. As a part of our Service, we may offer links to websites operated by various third parties and is not responsible or liable for any acts or omissions created or performed by these third parties. We provide such links for your convenience and reference only. SuperbThemes does not operate or control in any way any information, software, products or services available on such web sites. Our inclusion of a link to a website does not imply any endorsement of the services or the site, its contents, or its sponsoring organization. All of our themes are licensed under the GPL version 2 or later. (click here to find out more about the GPL). (a) the Materials you provide or approve for publication, (b) your use of the Service, (c) your breach of these Terms of Service, or (d) any actual, prospective, completed or terminated service between you and a third party. SuperbThemes intends that the information contained in its Service be accurate and reliable; however, errors sometimes occur. In addition, SuperbThemes may make changes and improvements to the information provided herein at any time. THE SERVICE AND THE INFORMATION, SOFTWARE, PRODUCTS AND SERVICES ASSOCIATED WITH IT ARE PROVIDED “AS IS.” SUPERBTHEMES AND/OR ITS SUPPLIERS, PARTNERS AND AFFILIATES DISCLAIM ANY WARRANTY OF ANY KIND, WHETHER EXPRESS OR IMPLIED, AS TO ANY MATTER WHATSOEVER RELATING TO THE SERVICE AND ANY INFORMATION, SOFTWARE, PRODUCTS AND SERVICES PROVIDED HEREIN, INCLUDING WITHOUT LIMITATION THE IMPLIED WARRANTIES OF MERCHANTABILITY, FITNESS FOR A PARTICULAR PURPOSE, TITLE, AND NONINFRINGEMENT. USE OF SUPERBTHEMES SERVICE IS AT YOUR OWN RISK. SUPERBTHEMES AND/OR ITS SUPPLIERS, ARE NOT LIABLE FOR ANY DIRECT, INDIRECT, PUNITIVE, INCIDENTAL, SPECIAL OR CONSEQUENTIAL DAMAGES OR OTHER INJURY ARISING OUT OF OR IN ANY WAY CONNECTED WITH THE USE OF SUPERBTHEMES’ WEBSITE OR SERVICE OR WITH THE DELAY OR INABILITY TO USE THE SERVICE, OR FOR ANY INFORMATION, SOFTWARE, PRODUCTS AND SERVICES OBTAINED THROUGH SUPERBTHEMES, OR OTHERWISE ARISING OUT OF THE USE OF THE SERVICE, WHETHER RESULTING IN WHOLE OR IN PART, FROM BREACH OF CONTRACT, TORTIOUS BEHAVIOR, NEGLIGENCE, STRICT LIABILITY OR OTHERWISE, EVEN IF SUPERBTHEMES AND/OR ITS SUPPLIERS HAD BEEN ADVISED OF THE POSSIBILITY OF DAMAGES. SOME JURISDICTIONS DO NOT ALLOW THE EXCLUSION OF IMPLIED WARRANTIES, SO THE ABOVE EXCLUSION MAY NOT APPLY TO YOU. IN NO EVENT SHALL SUPERBTHEMES OR ITS SUPPLIERS BE LIABLE FOR LOST PROFITS OR ANY SPECIAL, INCIDENTAL OR CONSEQUENTIAL DAMAGES (HOWEVER ARISING, INCLUDING NEGLIGENCE) ARISING OUT OF OR IN CONNECTION WITH THIS AGREEMENT. SUPERBTHEMES’ LIABILITY, AND THE LIABILITY OF SUPERBTHEMES’ SUPPLIERS AND AFFILIATES, TO YOU OR ANY THIRD PARTIES IN ANY CIRCUMSTANCE, SHALL NOT EXCEED THE TOTAL SUM OF $5.00. THE LIMITATIONS OF LIABILITY SET FORTH ABOVE ARE FUNDAMENTAL ELEMENTS OF THE CONTRACT BETWEEN SUPERBTHEMES AND YOU. NEITHER IF YOU HAVE CHOSEN REQUESTED SUPERBTHEMES SUPPORT STAFF TO INSTALL YOUR THEME OR MAKE CHANGES TO YOUR WEBSITE, IT IS YOUR FULL RESPONSABILITY WHEN YOU CHOOSE THIS OPTION. Some states do not allow the limitation of liability, so the foregoing limitation may not always apply. SuperbThemes is not responsible for any errors or delays caused by an incorrect e-mail address provided by you or any other technical problems. Subscriptions and Payment. After browsing our web site you may be interested in purchasing some of our SuperbThemes designs. You will be required to submit payment information to do so. To process our payments we use PayPal, Stripe.com or Authorize.net. You must agree with their terms and conditions before paying for any of our products. SuperbThemes offers various subscription packages. This subscription will automatically renew every year(12 months after purchase), and you will be automatically billed at the end of your term for the next year if your subscription is still active. You can cancel your subscription at any time by logging in to the SuperbThemes members area and navigating to the Account > Subscriptions. If you used PayPal to purchase your account, you may also cancel your subscription from within your PayPal.com account. If you do not cancel by the end of the year, you will be automatically billed for the next year. – You have attempted to resolve the issue with our support staff. – You have purchased a product/subscription within the last fourteen (14) days. If you have a subscription then it’s up to you to cancel the subscription before the rebilling period, if you don’t want to extend it. Once the recurring payment has been processed, you can cancel the subscription, but no refund will be given for the already-paid period. SuperbThemes reserves the right in its sole discretion, and without any prior notice, to terminate your access to the Service for any or no reason, including your breach of these Terms of Service, the terms and conditions of any service for which you may have registered, or a violation of the rights of another user or the law. You may unsubscribe from any further communication from SuperbThemes at any time by delivering a written notice addressed to contact@superbthemes.com. You shall be responsible for ensuring delivery of the notice to SuperbThemes. You may also unsubscribe by clicking the Email Preferences link or the opt-out link in any of the SuperbThemes emails. SuperbThemes reserves the right with or without notice to you at any time to change, modify or discontinue any service or a portion or attribute thereof, or the offering of any information, good, content, product or service. SuperbThemes shall have no liability to you or any third party should SuperbThemes modify or discontinue any service or an aspect thereof. Any claim or controversy arising out of or relating to the use of SuperbThemes’ Service, to the goods or services provided by SuperbThemes, or to any acts or omissions for which you may contend SuperbThemes is liable, including but not limited to any claim or controversy (“Dispute”), shall be finally, and exclusively, settled by arbitration in Copenhagen, Denmamrk, from which arbitration there shall be no appeal. The arbitration shall be held before one arbitrator under the Commercial Arbitration rules of the American Arbitration Association (“AAA”) in force at that time. The arbitrator shall be selected pursuant to the AAA rules. The arbitrator shall apply the substantive law of Denmark, except that the interpretation and enforcement of this arbitration provision shall be governed by the Federal Arbitration Act. To begin the arbitration process, a party must make a written demand therefore. Each part shall bear its own costs and attorneys’ fees. Any judgment upon the award rendered by the arbitrators may be entered in any court of competent jurisdiction in California. The arbitrator shall not have the power to award damages in connection with any Dispute in excess of actual compensatory damages and shall not multiply actual damages or award consequential, punitive or exemplary damages, and each party irrevocably waives any claim thereto. The agreement to arbitrate shall not be construed as an agreement to the joinder or consolidation of arbitration under this Agreement with arbitration of disputes or claims of any non-party, regardless of the nature of the issues or disputes involved. THIS AGREEMENT PROVIDES THAT ALL DISPUTES BETWEEN YOU AND SUPERBTHEMES WILL BE RESOLVED BY BINDING ARBITRATION. YOU THUS GIVE UP YOUR RIGHT TO GO TO COURT TO ASSERT OR DEFEND YOUR RIGHTS. YOU ALSO GIVE UP YOUR RIGHT TO PARTICIPATE IN OR BRING CLASS ACTIONS. YOU ACKNOWLEDGE AND AGREE THAT YOU AND SUPERBTHEMES ARE EACH WAIVING THE RIGHT TO PARTICIPATE AS A PLAINTIFF OR CLASS MEMBER IN ANY PURPORTED CLASS ACTION OR REPRESENTATIVE PROCEEDING. NEITHER IF YOU HAVE CHOSEN REQUESTED SUPERBTHEMES SUPPORT STAFF TO INSTALL YOUR THEME OR MAKE CHANGES TO YOUR WEBSITE, IT IS YOUR FULL RESPONSABILITY WHEN YOU CHOOSE THIS OPTION. Further, unless both you and SuperbThemes otherwise agree, the arbitrator may not consolidate more than one person’s claims, and may not otherwise preside over any form of any class or representative proceeding. YOUR RIGHTS WILL BE DETERMINED BY A NEUTRAL ARBITRATOR AND NOT A JUDGE OR JURY. All contents of the Service are copyrighted ©2018 SuperbThemes.com. All rights reserved. You may not claim intellectual or exclusive ownership to any of our products, modified or unmodified. All products are property of SuperbThemes. Other product and company names may be trademarks or service marks of their respective owners. IF YOU DO NOT AGREE TO THE TERMS STATED ABOVE OR TO ANY CHANGES MADE IN THESE TERMS, PLEASE EXIT THIS WEBSITE AND SERVICE IMMEDIATELY. SuperbThemes. is the owner and data controller of the information collected through the Service. We communicate with our customers using a combination of email and live chat. This communication is facilitated through Mailchimp.com and Gmail. Chat histories are stored on their server. Other information, including your username and email address, are provided to Mailchimp and Gmail when you sign up. This allows us to locate your account when we chat with you, which is necessary in order for us to provide sales, billing and technical support to our customers. We will never knowingly collect any personal information about children under the age of 13. If we obtain actual knowledge that it has collected personal information about a child under the age of 13, that information will be immediately removed from any access. Because it does not collect such information, SuperbThemes has no such information to use or to disclose to third parties. SuperbThemes has designed this policy in order to comply with the Children’s Online Privacy Protection Act (“COPPA”). If you contact us by email or by filling-out a registration form, we may keep a record of your contact information and correspondence, and may use your email address, and any information that you provide to us in your message, to respond to you. In addition, we may use the personal information described above to send you information regarding the Service. If you decide at any time that you no longer wish to receive such information or communications from us, email us at contact@superbthemes.com and request to be removed from our list. The circumstances under which we may share such information with third parties are described in part (4) below. SuperbThemes operates or leases secure data networks protected by industry standard firewall and password protection systems. Our security and privacy policies are periodically reviewed and enhanced as necessary, and only authorized individuals have access to the information provided by our Clients. Notwithstanding such measures, we cannot guarantee that our security measures will prevent our computers from being illegally accessed, and the individual information on them stolen or altered. SUPERBTHEMES MAY CONTRACT WITH A VARIETY OF THIRD PARTY SUPPLIERS/PROVIDERS/VENDORS/SOCIAL NETWORKS FROM TIME TO TIME, TO PROVIDE FOR OUR HOSTING, AUTHENTICATION, SERVING, STORAGE AND TELECOMMUNICATION NEEDS, ETC., INCLUDING WITHOUT LIMITATION STORAGE OF OUR USERS PERSONALLY IDENTIFIABLE INFORMATION. SUPERBTHEMES SHALL NOT BE RESPONSIBLE OR LIABLE, AND HEREBY DISCLAIMS ALL RESPONSIBILITY AND LIABILITY, FOR CULPABLE (INCLUDING WITHOUT LIMITATION NEGLIGENT) ACTS OR OMISSIONS BY ITS THIRD PARTY SUPPLIERS/VENDORS. Premium support gives you access to assistance directly from our developers and premium support team. They’ll be able to assist you with new custom additional css so you can get that personal touch on your website. SuperbThemes premium support is limited to additional css and minor changes to .php files. Our premium support team can not assist with development of custom features. Our premium support team is always allowed to decline or ignore a help request in case the request is too advanced or impossible for them to assist with. If you opt in for theme updates you will always be able to download the newest version of the theme you have bought. You will also be prioritized above customers who have not bought theme updates, when it comes to feature requests. We will not implement every feature request, only those we believe will be useful for a greater amount of users. We may use third parties to help operate our website, authenticate users and deliver products and services, and may share your Personally Identifiable Information with our service providers, vendors, suppliers, and other third parties that provide products or services for or through this Service (such as website or database hosting companies, authentication providers, address list hosting companies, e-mail service providers, analytics companies, distribution companies and other similar service providers that use such information on our behalf). Unless otherwise stated, these companies do not have any right to use the Personally Identifiable Information we provide to them beyond what is necessary for them to assist us. For more information about these third party. SuperbThemes reserves the right to use or disclose your Personally Identifiable Information and other information in response to subpoenas, court orders, warrants, or legal process, or to otherwise establish or exercise our legal rights or defend against legal claims or in the event you violate or breach an agreement with us. We may use and disclose your Personally Identifiable Information if we believe you will harm the property or rights of SuperbThemes, its owners, or those of our other Clients. We might share information when we are investigating potential fraud. In the event SuperbThemes goes through a business transition, such as a merger, acquisition by another company, or sale of all or a portion of its assets as well as in the event of a bankruptcy, assignment for benefit of creditors or receivership, a customer list which may include your Personally Identifiable Information may be disclosed and will likely be among the assets transferred. You may be notified thereafter via prominent notice on our web site for 15 days of any such change in ownership or control of your personal information. SuperbThemes further reserves the right to disclose, transfer or sell your personal information to companies who are affiliated with us in our sole discretion. Our website employs the use the various third party services. Through the use of our website, these services may place anonymous cookies on the Visitor’s browser and may send their own cookies to the Visitor’s cookie file. Some of these services include, but are not limited to: Google, Facebook, Twitter, Adroll, MailChimp, Sucuri, Intercom and other social networks, advertising agencies, security firewalls, analytics companies and service providers. These services may also collect and use anonymous identifiers such as IP Address, HTTP Referrer, Unique Device Identifier and other non-personally identifiable information and server logs. We do not control the use of these technologies. To learn more, click here.